Appropriately enough for a writer who profiled the often absurdly incongruous domestic life of an America in the ascendant in the second half of the last century, Neil Simon was born on the fourth of July. He once described his approach to playwriting as “almost always (with some exceptions) writing a drama that was funny”. It was a philosophy that saw him, despite long-standing critical antipathy, amass more Tony and Oscar nominations than any other writer, become the only playwright to have four productions running simultaneously on Broadway and secure a Pulitzer Prize. If his work dwelt on, and was fed by, the commonplace banalities of family life and friendship, it did so with a tragicomic flair that emphasised compassion rather than censure. His writing caught the imagination of audiences adjusting to the new mores and attitudes of a country in accelerated transition towards modernity and offered them a welcome cathartic escape from the quotidian realities of life in a brave new world. Born in New York’s blunt and brutal Bronx district on the eve of the Great Depression, Simon’s childhood was beset by a parental conflict from which he escaped into the distractions of films from a Hollywood on the verge of its Golden Age. Having begun writing at the age of seven, his later work owed as much to lessons learned from the innocence of Laurel and Hardy as to the urbane, comedic sparring of Ernst Lubitsch’s films and the wishful sentimentality of Frank Capra’s. A prolific writer of more than 30 plays and over 200 screen credits, he began his career writing comedy scripts for American radio before moving into the fast-emerging medium of television, where early notable successes included collaborations with Sid Caesar and Phil Silvers. Sketches, co-written with his older brother Danny, for the 1955 musical revue Catch a Star marked his debut on Broadway, where he was later to have a theatre named after him. The revue was reprised the following year by Harry Secombe at the London Palladium. Simon’s first full-length play, Come Blow Your Horn, a witty riff on his own formative years he claimed to have completely rewritten 20 times, opened on the Great White Way in 1961 and ran for nearly 700 performances. Three decades later came the Pulitzer-winning Lost in Yonkers , a nostalgic look at growing up in New York in the 1940s, described by the prize’s judges as “a mature work by an enduring (and often underrated) American playwright”. The success of his book for 1962’s Little Me, co-directed and choreographed by Bob Fosse, led to Simon taking up virtual residence on Broadway until early in the present decade. 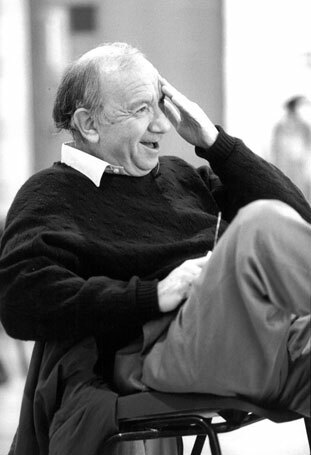 In a 17-year period he produced a new play there every year, his contribution to New York’s cultural landscape later recognised by the renaming of the Alvin Theatre in 1983 as the Neil Simon Theatre. He reached what was arguably his peak in Broadway’s 1966-67 season, during which Barefoot in the Park , The Star-Spangled Girl, Sweet Charity  (another Fosse collaboration and later the choreographer’s directorial screen debut) and The Odd Couple  (memorably filmed with Lemmon and Walter Matthau as ill-matched friends sparring with all the combustible familiarity of a married couple) were all on offer to New York’s theatregoers. 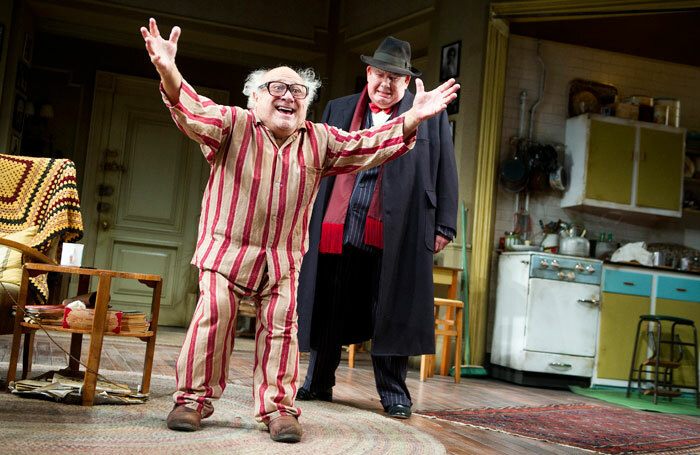 Simon teamed again with Matthau, this time partnered by George Burns, for the 1975 film version of his play The Sunshine Boys, most recently revived at London’s Savoy Theatre in 2012  with Danny DeVito and Richard Griffiths. Married five times (twice to his third wife), his own life was a constant source of inspiration for his writing, notably so in 1977’s Chapter Two, a warts-and-all reflection on the endurance of his second wife, the actor Marsha Mason, of Simon’s prolonged grieving over the death of his first wife. It was also conspicuous in the semi-autobiography of his Brighton Beach Memoirs trilogy, memorably staged at the National Theatre in 1986. On Broadway he was nominated for 14 Tony awards between 1955 and 2011, winning three – for The Odd Couple (1965), Biloxi Blues (1985) and Lost in Yonkers (1991) – and picking up a special achievement award in 1975. His last original play seen there was 45 Seconds from Broadway in 2001, which closed after fewer than 100 performances and previews, although several earlier plays have since been revived. Recent revivals in the UK included The Prisoner of Second Avenue, with Jeff Goldblum, at the Vaudeville Theatre, which provided the Kevin Spacey-managed Old Vic Theatre Company with its first West End transfer in 2010. Last of the Red Hot Lovers was seen at St Helens Theatre Royal in 2014. More than half his stage works found their way on to film, with Simon himself providing the screenplays to garner a clutch of Oscar, BAFTA, Golden Globe and Primetime Emmy nominations, although he won only one: a Golden Globe for The Goodbye Girl in 1977. He published two autobiographies: Rewrites: A Memoir (1996) and The Play Goes On (1999) – republished together in 2017 as Neil Simon’s Memoirs. 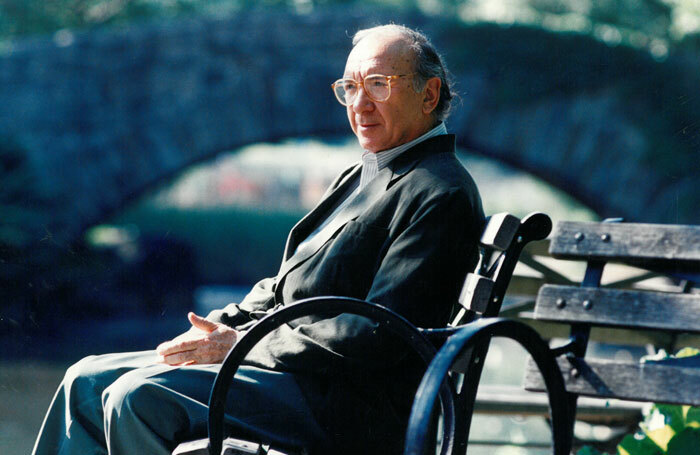 Marvin Neil Simon was born on July 4, 1927 and died on August 26, aged 91. He is survived by his fourth wife, the actor Elaine Joyce, two daughters from his first marriage and a daughter from his third.